The Summit Parent Organization will be hosting our 11th annual Run for The Summit on Saturday September 16, 2017. This year we are hosting a Super Hero 5K and 1 Mile Fun Run. 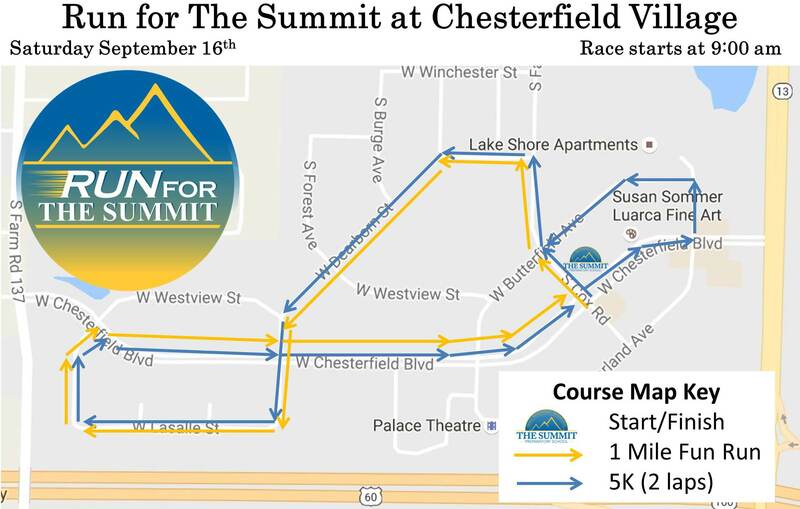 Participants will run a flat and fast course through the heart of beautiful Chesterfield Village in their favorite super hero costumes, starting and ending at The Summit Preparatory School. 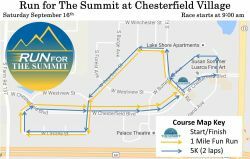 All proceeds from the event will directly benefit The Summit and its mission. The Summit is a small, progressive, independent school that cares beyond the completion of required courses to the development and future of the whole child, teaching not only the skills for academic success, but more importantly how to overcome challenges, solve problems, and pursue lifelong achievement. That’s right...we are not providing cups at water stations! The Summit will be hosting a Cup-Free Race! Registrants will receive a Hydra Pouch personal hydration device. It’s lightweight and easy to carry while running, and is easy to fill at the Ultra Spout filling stations along the course. Cup-Free Racing means: safer aid stations with fewer cups to slip on; faster, more efficient, and less crowded aid stations; less litter, trash, and waste. Packet pickup will be on Friday 9/15 at The Summit Preparatory School at 2155 W Chesterfield Blvd from 3:30-5:30 pm. welcome to hang out on the playground while their parents race.
? School tours: Take a tour and see what makes The Summit awesome!
? Vendors: Check out local businesses and vendors that support The Summit!